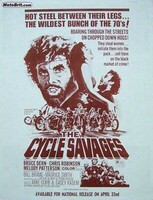 Scroll down to find a list of biker flicks. This list is by no means complete and I will add more as I come across them or remember them. Click on the photos below to view each movie's page, check out the posters and watch the original movie trailers when available. Many of these movies and posters can still be picked up... you know you want them.